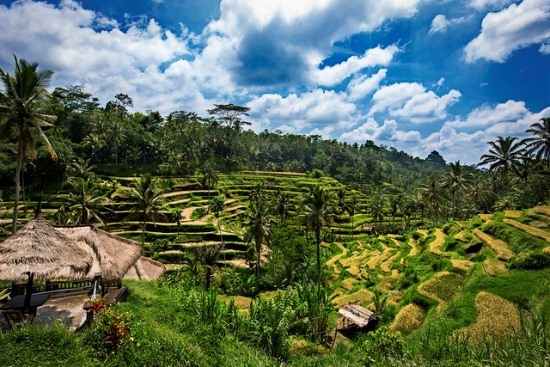 Ubud, located in central Bali, is far removed from the beach party scene in Kuta or Tanjung Benoa and is regarded as the traditional cultural center of Bali. It is famous for art and crafts, with the local people works as farmers and craftsmen. 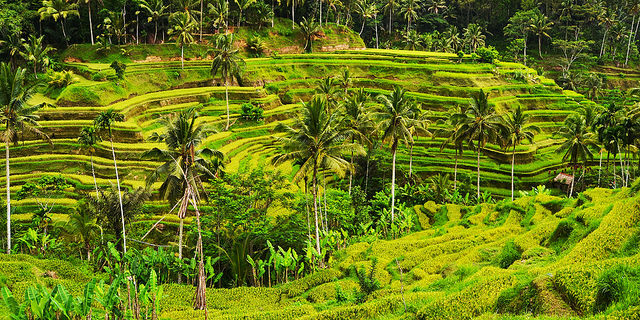 Tegalalang Rice Terraces Ubud is famous for its beautiful scenes of rice fields with its subak (traditional Balinese cooperative irrigation system). 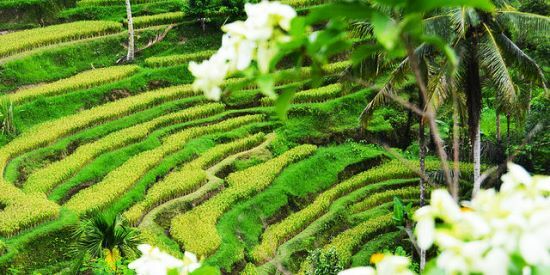 If you ever go to Jatiluwih Rice Fields, Tegagalang Rice Terrace have the same beautiful panorama of the valley with rice terrace but combines with the coconut trees. 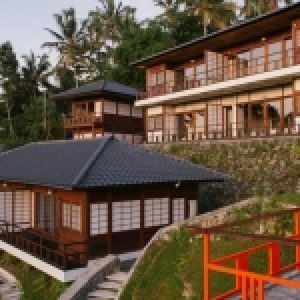 Tegalalalng was located just beside te main road connected Ubud and Kintamani. Because of its scenic nature panorama, this place is very popular for artists and painters. 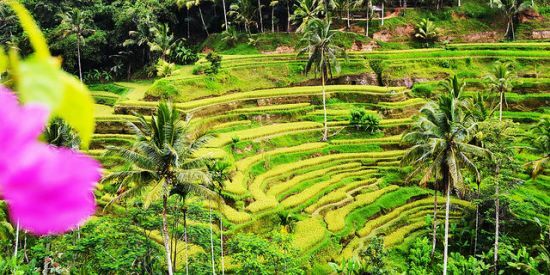 Subak as the traditional irrigation system and also Balinese society is included in UNESCO World Heritage since 2012. Subak reflects Balinese life philosophy called “Tri Hita Karana”. It roughly means living in harmony which includes the balance of the spiritual world consists relationship man to the others, man and God, and man and nature. 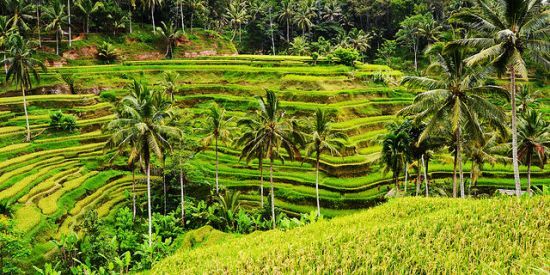 “Tegalalang rice field is very beautiful,” said some foreign tourists that join the same tour with me from Denpasar, just to make you understand about how beautiful it is, Feel-Indonesia team provides some pictures about this place. While walking around to enjoy the beautiful scenery, maybe you need to stop for a while. Here, you can find little restaurant or cafe with a view to the Tegalalang rice field. You can try the coconut drink, a perfect drink to replace your body ion in the hot area in Tegalalang. This drink is very famous among local tourists and only costs 10.000 rupiahs (1 dollars). Beside that, you can try Balinese traditional menu like ikan bumbu kuning (fish cooked with local spices). 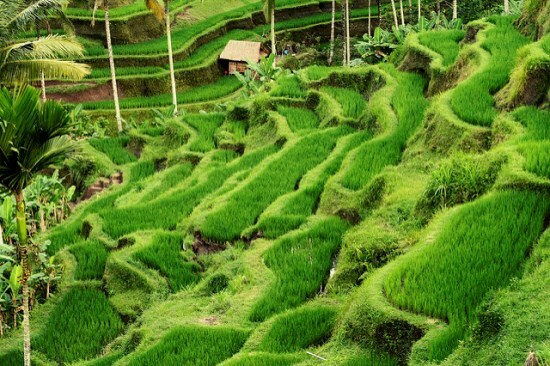 The rice terraces are very famous and become the main attractions in the Tegallalang area. But, Tegalalang also known as the center of home industry in Ubud. 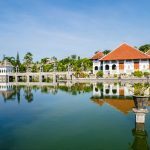 You can find several souvenirs shops and workshops here, where local people make wooden crafts, wooden statue, pictures or the rice field, and also t-shirts and traditional farmer’s cap called “topi caping”. Please don’t be afraid to bargain the price! If you stay in the hotel in Ubud, you can take the rental car to Tegalalang head north to Kintamani. 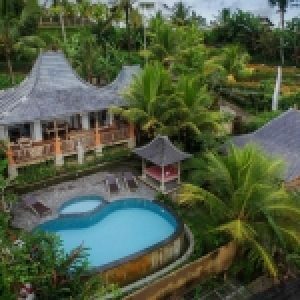 It will take 25 minutes driving from central Ubud to get the Tegalalang Village location.